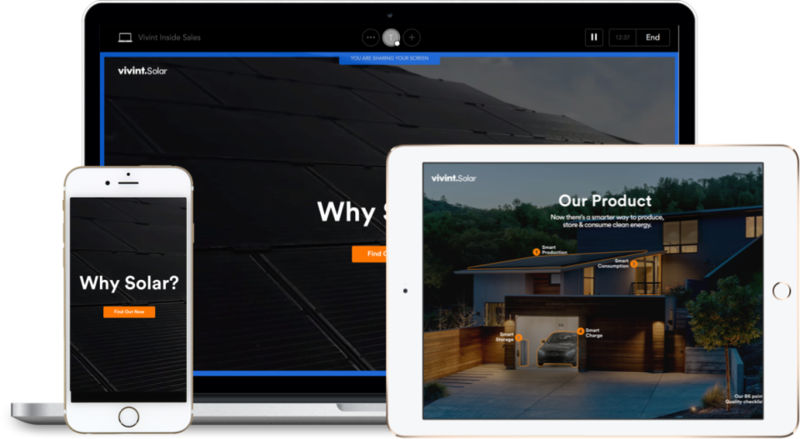 Tiled is used by enterprise sales and marketing teams, including Adobe, Vivint Solar, and McKinsey & Company, to engage their customers and discover new insights. 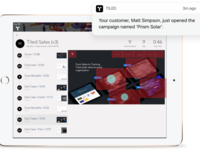 Tiled is a microapp platform built to increase viewer engagement and company insight. 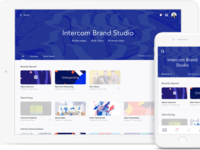 We take the hard work out of delivering interactive content and make it easy for sales teams to understand viewer engagement so they can close more deals. 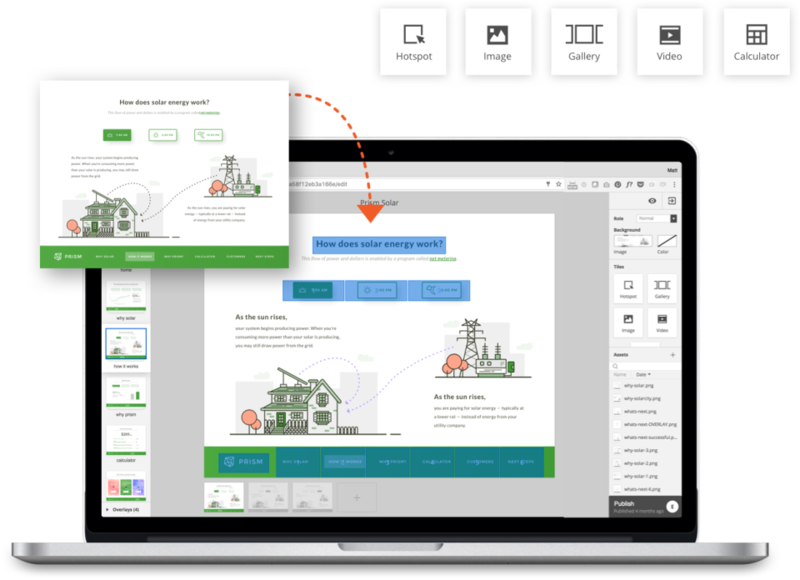 Tiled enables non-developers to create interactive multimedia experiences that perform like native apps or fully-coded websites, discover new insights with our full analytics suite, and publish instantly to customers and team members worldwide. Pros: The ability to push data and notifications is awesome. Being able to share presentations is cool too. Cons: Developing the presentations is insanely expensive. Thanks for your feedback on Tiled. We're glad to hear you're enjoying the product. Since Tiled does not provide design and development services, these costs are outside our control. We know most of our customers are able to save money as our platform does not require use of code, but recognize this is not always the case. We're sorry this has not matched your experience. Few glitches, but very impressed and pleased with App. Pros: It's interactiveness was fun to play around with, and it was very dependable even when my internet coverage was spotty. Cons: Any videos put on the app loaded slower than the first version of Internet Explorer a decade ago -and many would not load at all. Literally the only downfall though. 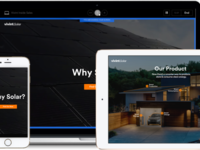 Overall: We were able to solve the issue of people wondering what our Technicians would actually do during the pest control services routinely - with an interactive home. It was great! Pros: I love the professional clean look and how fluid everything flows together. Can't tell you how much business has been brought from using this tool. Thanks for your feedback! We're glad you're having a good experience with Tiled. If you use iOS devices, you can download presentations on our native app. Just tap the three dots in the corner of a presentation and choose 'download to device.' If this doesn't work or you have any other questions, feel free to get in touch with us to find a solution. Pros: I think it was very easy to use. I also think it was helpful in the door to door industry. For the most part I had an extremely good experience with it. Cons: Sometimes it had an occasional glitch, but it was a really good product. Pros: Easy to use for me and the team I currently work with. Cons: It's really up to the company to use it correctly. Tile did what they were suppose to do for the software. Overall: It's been great and useful when ramping up. Pros: I love most about how user friendly the app was. The colors were great and worked well with the photos of the company I worked for. Another part I loved were the push notifications I received from updates. Cons: How often it would crash on my ipad but not on my phone. Overall: It was overall a solid experience and I'm excited to continue to use it. Thanks for the feedback! We're glad you're having a good experience with Tiled. Our apologies for any crashes, our team is always working on improving our platform so that will hopefully happen less in the future. Pros: Cool to have content in one place. Makes it easy to get to your content. Overall: Good layout and design. Good quality but the whole Slow upload speeds of videos unless on WiFi is way annoying. I use tiled mainly when I'm out and about not when I'm home with WiFi. Amazing Functionality & Sleek App! Pros: The software let me run an amazing sales presentation and help me capture the interest of many potential customers. Overall I use tiled everyday at work and I could'nt be happier with the functionality and ease of use. Pros: I like how easy it is to navigate through the platform. It helps me in my everyday sales process. Cons: I think their needs to be a mobile side to it for when Im on the go. You might already have one but I would like to have access. Thanks for your feedback! We have an iOS app, and a brand new Android app as of this weekl, so you can continue the experience on mobile. Visit tiled.co or find us on the App or Google Play store to download. Cons: There wasn't too many things wrong with this app the only thing I'd say would be the number of updates it needed was a little excessive. Pros: How organized everything is and how easy it is to find the functions that you're looking for. Cons: That you need internet to download everything in order to get it to work in the beginning. Overall: It has helped me tremendously with my training for a Security System. It was fairly easy to navigate and manage. Definitely would recommend. Pros: It makes you look like you know what you're doing because your tiled presentations look amazing. Cons: It's a little intimidating when you want to create a large presentation. Pros: I liked that it was straight forward and simple. So many apps are complicated, but this one was easy and our customers understood it well. Cons: There was no "back button" instead you had to zoom out of your current page to go back that part was inconvenient but otherwise it was great! 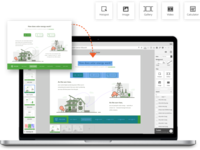 Pros: I love how easy it was to use our presentations with customers I met on the job. It was fluid and smooth. Cons: Playing video content over a minute long takes forever to load. Overall: I'm excited to contjnue using it in my work! Pros: I like how it's like a brochure but interactive. beacuse of this it has a wide range of possible uses! Cons: It is a little tricky for others to use sometimes because it is not traditional. Pros: I love that this product is easy to use and allows it's users to create a very complicated product quite easily. You don't have to be a master programmer to come up with a functional applet. Cons: Navigation of files was difficult at times. Especially with large quantities of files. I would have liked an easier way to navigate files on the platform. Pros: Compatible with iPhone. Easy to navigate all of the pages. Cons: It sometimes glitches and is hard to click on certain pages. Pros: There are many things to like about Tiled. The fact that I have a visual sales tool really helps in the sales process. The fact that I can send the presentation out to clients as well and see when they've opened the presentation is also very useful. 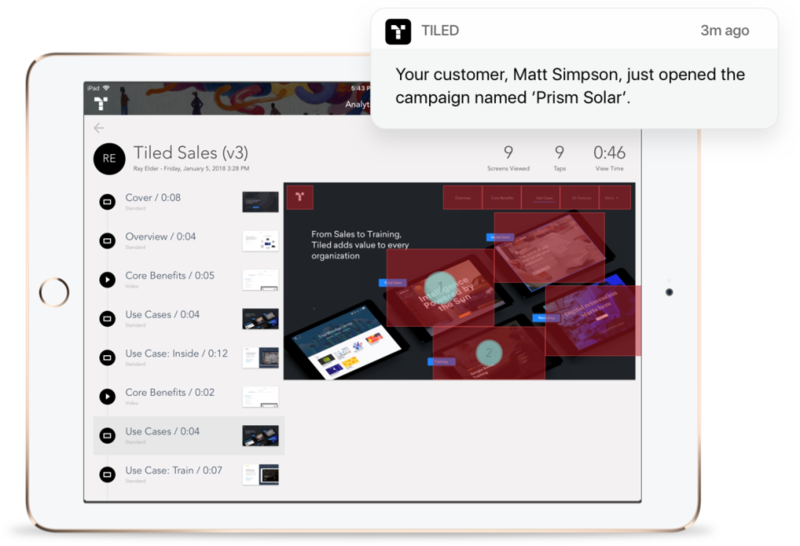 Tiled is like super sales/marketing collateral. Cons: Nothing about functionality. My only cons are about the content that I'd like to have in my corporate version. Cons: i HATE that you have to "pinch". just make it so you can click back! Pros: I loved that it was easy to share and the software was customize able. When sending information to potential clients, everything was very professional. Cons: It was difficult to navigate the app and things took was too long to load. Overall: Like I said, the interface was tough to navigate, but other than that it was fine. Pros: Visually, the app is stunning. There is a lot you can do and that we did do with Tiled. Cons: It was hard to use. I wouldn't say the controls are intuitive, but they aren't bad once you get to know them. I recommend adding a back button instead of just "pinching" to exit part of the app. Pros: We used it for work and were able to see everything we needed and share things with customers. Cons: For some reasons when videos play the do not disturb switch on the IPhone has to be off or you don't get sound and it hard a hard time loading. Pros: I like that it is super customizable and the content is easy to look at and absorb. Cons: I thought some of the navigation between different pages was hard to figure out. Would like more responsive button animations is all. Pros: Clean and tidy design. Contacts you when customer reviews material you sent. Cons: Seek Design and the functionality is good - in theory. For the alarm company I work for any of the features or videos (weekly podcasts) took forever to load. This wasn't and issue with connection either as I made several attempts on iPhone 6 and iPad. Unfortunately, it was much easier to use a web browser with my company website. Because the app itself wasn't fast enough I did not take advantage of the other features. Pros: I used it for summer sales and I loved the pamphlet that we could send to people! We weren't able to do that before tiled. Cons: It was a little slow at first and took a second to learn to navigate. Pros: Really enjoy the fact that you can send this presentation to prospective customers, and see if they've opened it or not. Tiled made incentives for my company fun and interactive! 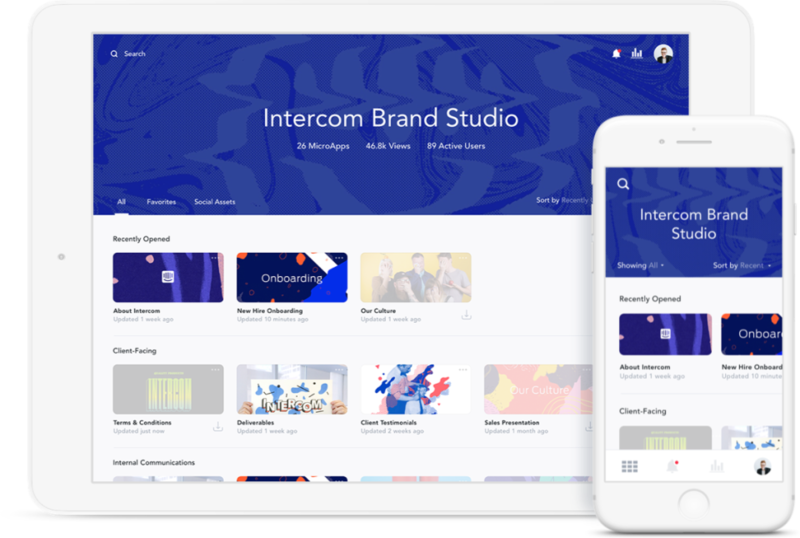 Pros: I liked how it was customizable and how it made company incentives more lively and fun. Cons: At first it was hard to figure out how to navigate the app. Cons: Not to much to dislike for what your using. Overall: No bad experiences with it. Pros: Beautiful presentations that customers really love seeing because it's unique.